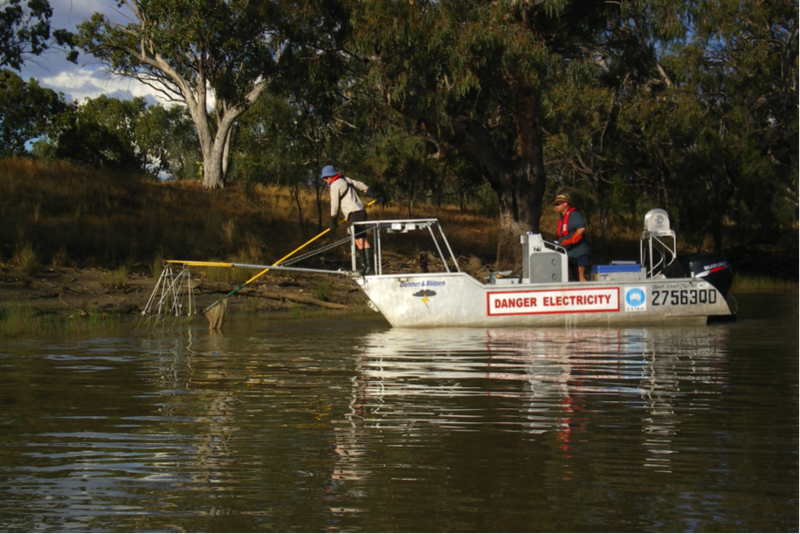 ← The identification and protection of drought refuges for native fish in the Murray-Darling Basin. Threats and Impacts: Carp (Cyprinus carpio) are believed to impact on native fish communities by increasing turbidity, up-rooting delicate shallow-rooted vegetation, competing with native fishes and other aquatic fauna for food and space, and indirectly promoting the development of toxic algal blooms. All of the currently available methods for Carp control have limitations. Integrated Pest Management (IPM) involves the application of a range of technologies applied simultaneously, and focussing on achieving broader objectives (e.g. improved habitat) rather than simply reducing pest numbers. demonstrate to the community the commitment to on-ground control. The study was conducted at four lagoon sites, two in the Condamine River catchment, and two in the Macintyre river catchment. Methods: One lagoon in each catchment was selected as an experimental site for intensive carp removal, and the other was used as a reference site which received no carp treatment. Each site was sampled on eight occasions for the following response variables: water quality (temperature, pH, conductivity, turbidity, dissolved oxygen, light penetration, available forms of nitrogen and phosphorus); phytoplankton biovolume and diversity; zooplankton biomass and diversity; benthic macroinvertebrate abundance and diversity; native fish abundance, biomass and diversity; carp abundance, biomass and size distribution; and abundance of piscivorous birds and turtles. One sampling event was conducted before the carp reduction treatment and a further seven samples were performed after Carp reduction. Carp removal employed a variety of methods based on boat electrofishing, gill nets, fyke nets, angling, commercial-scale netting and traps, and screens to prevent re-entry of Carp. 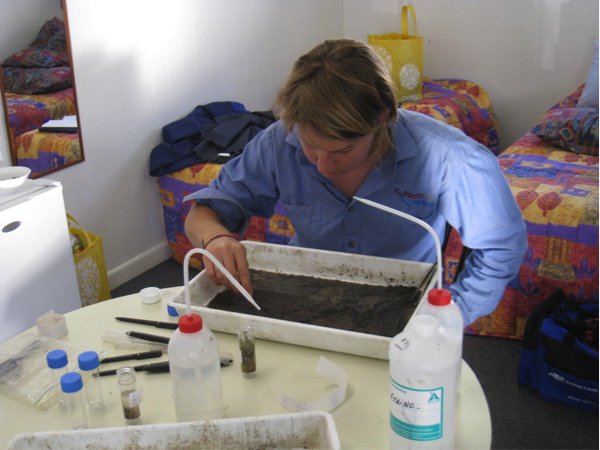 Findings: In Rainbow Lagoon (one of the experimental sites), Carp removal achieved an estimated 51% reduction in abundance and 43% biomass reduction, compared with 41% abundance and 33% biomass reductions in Warra Lagoon (the other experimental site). Reduction of Carp biomass by approximately 30 kg per ha allowed a threefold increase of more than 90 kg per ha in native fish that are eaten by larger fish species and fish-eating birds. The size and weight of Carp removed differed markedly between Warra Lagoon and Rainbow Lagoon. Rainbow Lagoon had large numbers of small Carp, while Warra Lagoon had relatively large numbers of big Carp, with relatively few small individuals. The differences in Carp populations between lagoons are likely to result in different ecosystem responses over time. Boat electrofishing was the most effective method of Carp removal used; fyke nets were the second most effective method, while the number of Carp removed by angling was far lower than other methods. A succession of ‘transient’ responses to Carp reduction was observed in treatment lagoons. Whilst the exact nature of succession differed between lagoons, the generalised pattern following Carp reduction was evidenced as (i) an increase in biomass of large zooplankton; (ii) an increase in abundance of benthic macroinvertebrates; and (iii) increased biomass of gudgeons (Hypseleotris spp.) and Bony Herring (Nematalosa erebi). These results suggest that of the full set of potential ecosystem responses to Carp reduction, only a subset may be demonstrated in individual locations because of the influence of local drivers and constraints. Due to a range of factors, the environmental responses of several variables, including water quality, macrophytes, zooplankton and macroinvertebrates, could not be linked to Carp control. Lessons learned and future directions:Modest reductions in Carp biomass can provide significant benefits for native fish and, if continued, may be expected to translate into longer-term increases in native fish populations. Carp in turbid wetlands interact strongly with native fish through pelagic food web pathways involving zooplankton, as well as benthic macroinvertebrate pathways. Carp reduction has the potential to contribute significantly to restoring populations of native fish by increasing food availability. Environmental outcomes of Carp reduction include direct conservation benefits to native fish, potential increases in popular recreational species and improved aquatic ecosystem health. Piscivorous fish (e.g. Murray cod, Maccullochella peelii) are likely to have increased prey availability as a result of Carp reduction. Improving native fish populations in key wetlands by reducing Carp biomass may strengthen the value of permanent lagoons as drought refuges for native fish. Stakeholders and Funding bodies: This project was funded through the Murray-Darling Basin Authority’s Native Fish Strategy. Contact: Sarah St Pierre, SMEC. Tel: + 61 (07) 3029 6600. This entry was posted in Fauna & habitat, Fish, Pest animal issues & solutions, Queensland, Riparian & stream ecology. Bookmark the permalink.